Opening Tuesday, June 4 at 11:30 AM SLT at the Dizzy Art Gallery (that slurl may not take you directly to the gallery) is an exhibition of new work by photographer Melusina Parkin entitled Pixel Factories: Views from Second Life Industry. As I've said before, Melusina possesses an exceptional eye, able to capture patterns, shapes and edges, bringing forward things we might be looking at but not really seeing. In Second Life her body of work is unique in this regard, and for the new exhibition she has turned her attention toward industrial settings. She says, "Industrial landscapes have been hated in Real Life. They are dirty and polluted, messy and distressed," but that in Second Life we find sims dedicated "to show chimneys, machines, warehouses, engines, designing an underworld where the sky is always dark grey, oil and smoke stains makes surfaces dirty, working or abandoned huge devices clutter spaces." 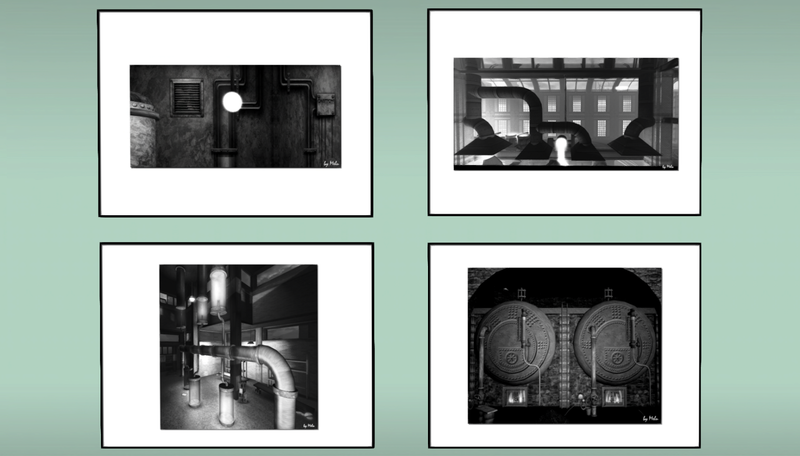 She makes excellent use of the opportunity in these striking grayscale images, all of which are available for sale.